VATICAN CITY (CNS) — The growing use of autonomous weapons systems poses serious risks to global peace and stability, a Vatican representative told a U.N. meeting in Geneva. “How would autonomous weapons systems be able to respond to the principles of humanity and the dictates of public conscience?” asked Archbishop Ivan Jurkovic, the Vatican observer to U.N. agencies in Geneva. 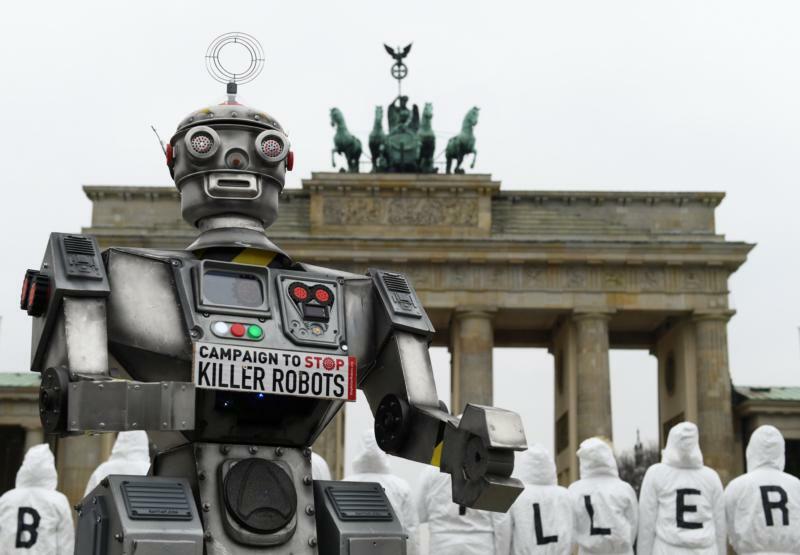 On several occasions, the Holy See has warned against the use and development of LAWS or, so-called killer robots, which include military drones, unmanned vehicles and tanks and artificially intelligent missiles. Even missile defense systems, such as Israel’s Iron Dome, have autonomous targeting capabilities. The Vatican’s position is that the autonomous robots cannot be allowed to replace human beings who are able to make intentional, rational and deliberate decisions from a moral and ethical standpoint. LAWS function according to their programming and algorithms. “Removing human agency as fundamental reference from the moral equation is problematic not only from the point of view of ethics, but also from the point of view of the foundation of law, including international humanitarian law,” the archbishop said. Precaution and prevention concerning LAWS are “of the utmost importance in our current endeavors,” he said.